Tired of Building Facebook Pages That Don’t Make Money? Tired of Building Facebook Pages That Don’t Make Money? Home / Social Media / Facebook / Tired of Building Facebook Pages That Don’t Make Money? 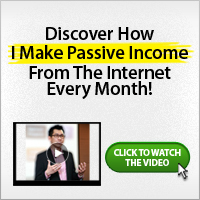 Tired of Building Facebook Pages That Don’t Make Money? If you do Facebook marketing and your Facebook pages doesn’t make you money every time, then you need to pick up the FB Classroom training right away. This would help you to learn what you need to know and do to start making money from your Facebook pages. Facebook experts – Bill Guthrie and Will Haimerl. I recommend you grab the FB Classroom training today because it’s what you need. Also, you should get it today because the price increases every 10 – 48 hours. The truth is, people are WASTING TIME building out Facebook Pages that they aren’t positive will make money from day 1. With the FB Classroom training, you can TEST your way to financial freedom by running “money campaigns” instead of “like campaigns”. - scaling your business so you can make those same 5-figure months like them! If you are ready for these, then check out Bill & Will’s Bill FB Classroom training now. crushing it every day. We are at the beginning of something big… don’t miss this train before it pulls out of the station! Remember, the price will go up from here, so jump over and grab this essential FB Classroom training from two guys who practice what they preach!